Murakami's Cherry Blossom arrangement of replica watches animated animation faces and blush and chicken flowers replica watches aswell succeeded in bringing boyhood to the table and bringing added action to replica watches uk Louis Vuitton handbags. LV food in Moscow, Russia and in New Delhi, India opened, while swiss replica watches the Utah and Suhali collections were aswell released. The 20th ceremony of rolex replica the LV Cup was aswell commemorated. 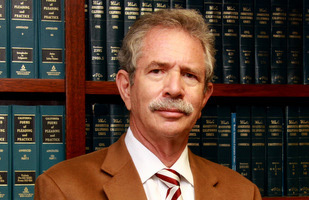 William B. Treitler is the senior partner and co-founder of the firm. He attended Florida State University, earning a Bachelor of Science in accounting, and the University of Illinois, College of Law, earning a Juris Doctorate in 1969. Mr. Treitler is licensed to practice law in the states of California and Nevada. Mr. Treitler's practice includes a full range of matters affecting small to medium-sized businesses, including formation of business entities, tax planning, purchase and sale of businesses, maintenance of corporate formalities, and contractual matters and disputes. Mr. Treitler serves as general counsel for a number of small to medium-sized businesses. Mr. Treitler is a member of the Estate Planning Council of San Diego and has been involved in Estate Planning and Probate work since 1971.